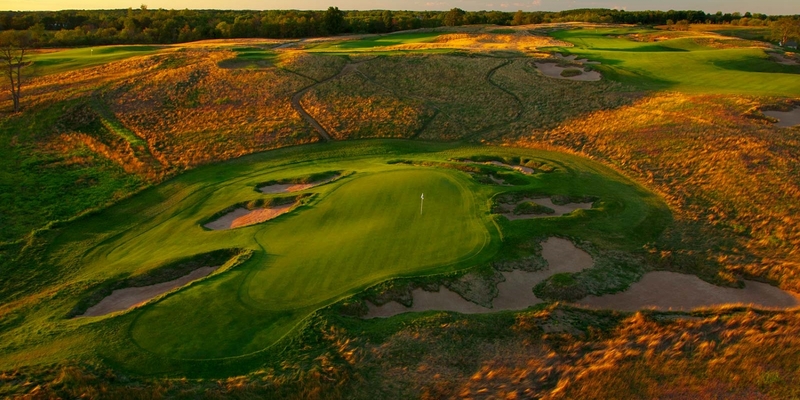 Erin Hills rests on a 652-acre site in the small town of Erin, thirty-five miles northwest of Milwaukee, Wisconsin. 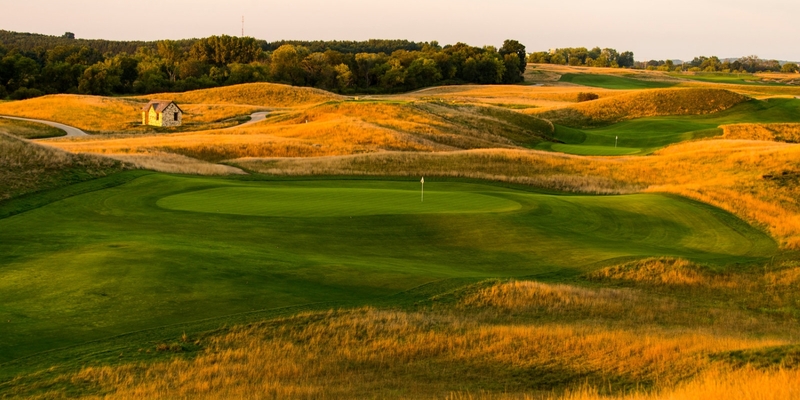 Regarded by enthusiasts as one of the best natural sites for a golf course in the United States, Erin Hills received the unprecedented honor of being awarded a future USGA championship - the 2008 U.S. Women's Amateur Public Links - before the course was ever seeded. 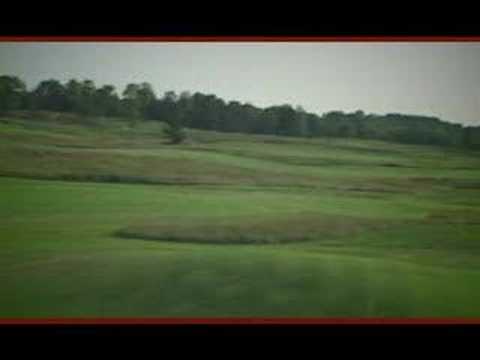 At the start of the 2008 golf season Erin Hills was awarded the 2011 U.S. Amateur championship. 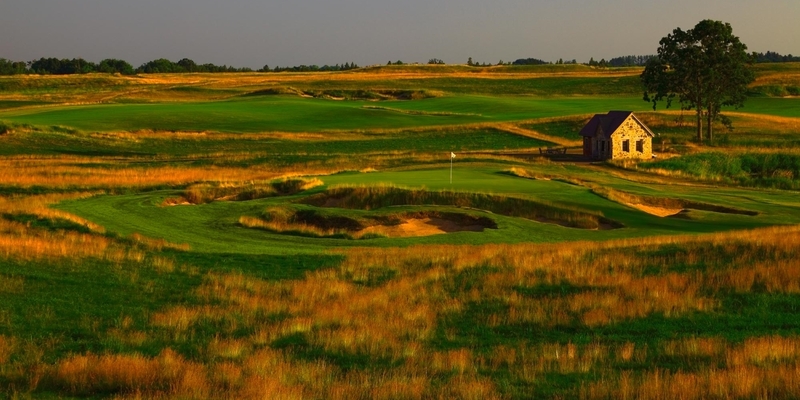 Erin Hills received the ultimate compliment on June 16, 2010 in being awarded the 2017 United States Open Championship, won by Brooks Koepka. 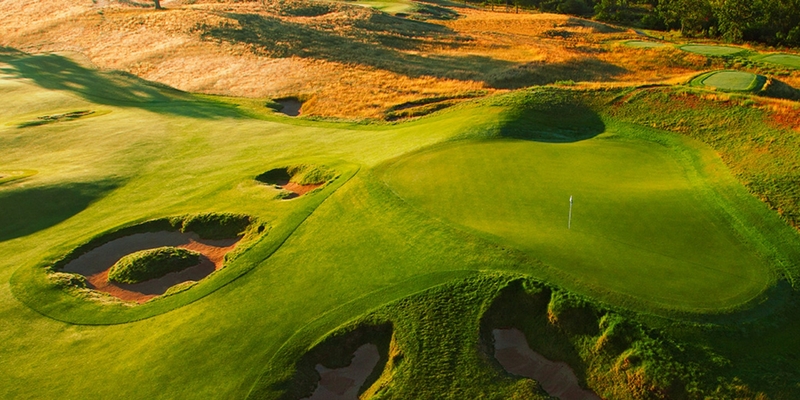 Inspired by the classic Scottish and Irish courses that were once built by horse-drawn plows, Erin Hills is environmentally friendly, with very minimal land development aside from the course itself, and takes into account the majestic contours of the land that were naturally shaped by the glaciers thousands of years before. Evidence to this was the designers removing as little dirt as possible, with the green sites remaining virtually untouched. Professional caddies are available to enhance your experience at Erin Hills. Erin Hills is walking only and recommends taking a caddie, however this is not mandatory. Located 1 mile west of the intersection of Hwy. 83 and Hwy. 167 West (Holy Hill Rd). Erin Hills' entrance is on the south side of County Highway O (Highway 167 becomes County Highway O west of Highway 83). Sprinkler Heads are marked on the course. 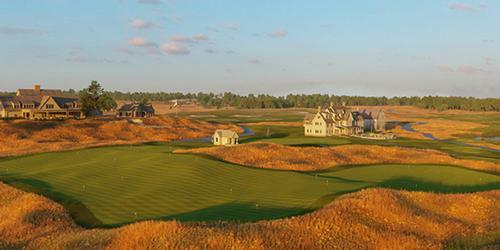 Groups and meetings are available and warmly encouraged at Erin Hills. If interested, please contact Anthony Washington, our Director of Hospitality, at (888) 772-4769 to book your outing. 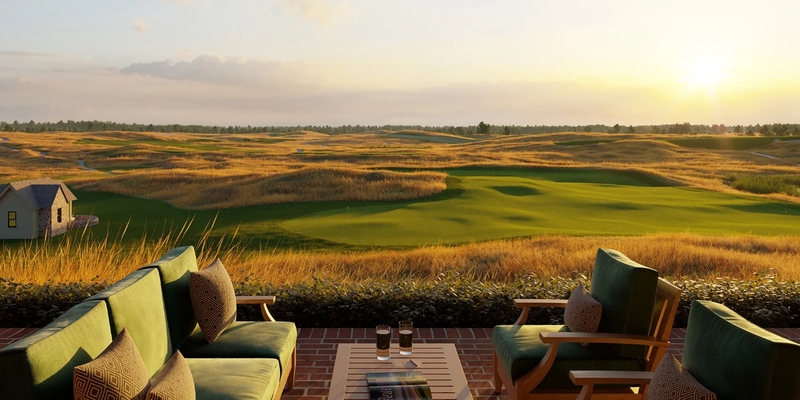 A treat awaits golfers at Erin Hills: walking off your final green for the day and taking a short stroll to gracious accommodations at the Lodge or in our cottages. 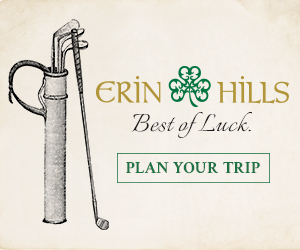 If you've ever dreamed of relaxing in the warm, rustic ambiance of an Irish country inn, you'll experience that and more when you spend an evening or a weekend at Erin Hills. Built in the style of an 18th-century Irish manor home, The Lodge at Erin Hills is tucked away in the peaceful serenity of Wisconsin's Kettle Moraine. We offer a variety of guestrooms for golfers, ranging from single rooms to multi-room suites. The cottages offer another set of relaxing accommodations. Featuring five, four-bedroom cottages: each with four private baths, a great room, and outdoor patio, they offers an unparalleled atmosphere and experience. Plan an outing for your four-ball, a vacation for you and your spouse, or treat your family or friends to an unforgettable getaway. After your round relax either on the Terrace or our covered porch overlooking the course. Join us for a cocktail and dinner in the Irish Pub before retiring to the quaint and tranquil comfort of our guestrooms. 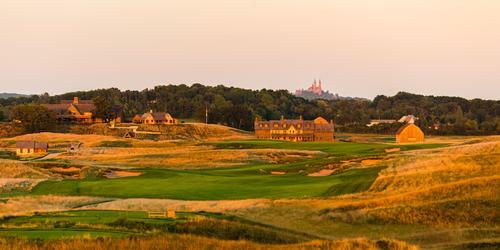 The Irish Pub at Erin Hills has the look and feel of a turn-of-the-century pub in Ireland. Small, quaint, and casual, it is the perfect place to enjoy a cool, refreshing drink after your round. The Pub offers a great selection of tap and bottled beers that sooth any palate, as well as an extensive scotch menu and a wide variety of red and white wines. The dining room in the Clubhouse offers breakfast, lunch and dinner, with varied menus ranging from Wisconsin fare to prime stakes and fresh seafood. 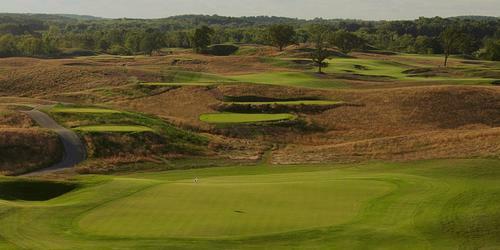 Watch the Erin Hills Video. Golf in the Kingdom... without the pond crossing! This profile was last updated on 04/01/2019 and has been viewed 96,845 times.